Halid's 2012 $100,000 Transformation Challenge win let him keep his love for spicy foods. He reformed his guilty pleasures into healthy alternatives! Food is good, but even good things can be bad for us. Halid Shokunbi craves dietary variety and needs the great spices of life. During the 2012 $100,000 Transformation Challenge, Mexican food was his downfall—until he found healthy recipes that fed his cravings. Halid's nutrition plan includes wraps, stir fry, and burrito bowls. It's not always about forgetting the foods you love. 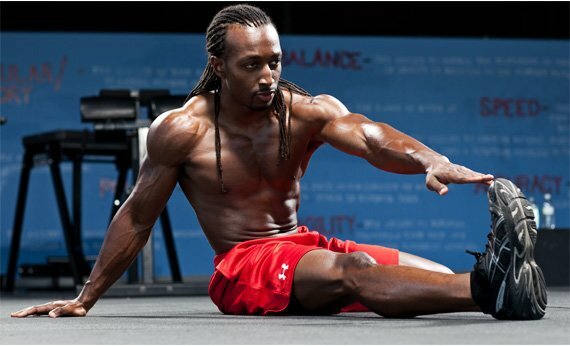 He won the 2012 Transformation Challenge by transforming his own favorite meals into health foods. I eat a lot of Mexican food; I just make it healthier! I swap out the high-glycemic foods for something else. Bodybuilding.com has plenty of recipes. You can find your favorite dish, swap out some ingredients, and boom—you have the same dish with good taste, but much better nutrition! It is possible to eat foods that are good for you and still eat foods you enjoy. You just have to get creative. I like breakfast food. Breakfast is pretty easy. I would eat egg whites, but I was really missing pancakes. I tried protein pancakes and sweet potato pancakes, which are both great. My cravings for cheat meals changed from week to week. There were some weeks where I just wanted a sub sandwich, or Philly cheese steaks. I crave hearty meals—heartburn-type meals. When you get cravings, you have to think about why you're doing this. Talk to people who have similar goals in mind. That helps you stave off those cravings. My diet was clean. I tried to keep my carbs low and my proteins high. I'm not a numbers guy. 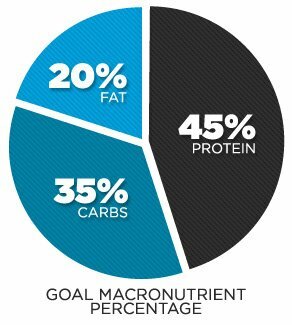 I can't stand counting carbs or calories, so I mainly estimated my macronutrient percentages. I kept carbs around 30 percent on days I didn't workout. I also only ate snacks that were high in protein and low in carbs. I didn't worry so much about fat, since it digests slowly and doesn't drastically spike insulin levels. I only ate one cheat meal per, if any. I don't like eating a plain and boring diet. I like variety and flavorful food. Spices and seasoning are important for me to keep my sanity. I usually eat a lot of Mexican dishes like burrito bowls and tacos. I love finding a food that is delicious but unclean, and then transforming it into a clean meal. *All whey and casein shakes made with love and water.